The event was hosted by ResPublica with Adam Hewitt from Rail Technology Magazine in the chair. First to speak, Mr Blond argued that HS2 and HS3 mattered because the state and economy had failed, particularly for the north of the country. He said that it was no coincidence that regions in Scotland where unemployment was above average had voted for independence. There was “a disconnect” there, and the same applied to the North of England, he believed. London was one of the most important global cities, he declared, but it had done terrible damage to other areas of the UK. Most of the country had been built on an equitable model, but this had led to a postcode lottery, he said. Continuing, Mr Blond said that the country had failed to create the same prosperity for northern regions that it had for those in the south east. He suggested that people in the north were “living lives of quiet desperation as things got worse”, arguing that there was a strong need for a new economic settlement for the north of England. Citing a new ResPublica publication, Devo Max – Devo Manc, he called for the state to finally deliver for those people in the north who relied on it. It was vital to create economic opportunities in those regions, he argued. A new economic model in the north would have to be led by infrastructure, he contended, and might eliminate the sense that children had to leave those regions for London in order to succeed in their ambitions. Britain’s second tier cities performed far worse than those in countries in the rest of Europe, he explained. Comparing Marseille to Manchester, he argued that this needed to be urgently addressed. Asking what should be done, he suggested that best course of action was to build HS3. There must be a new link between Hull and Liverpool, he declared. If it was not constructed, he believed that there would be a huge drain on northern cities. Continuing, Mr Blond said that there should be a direct high speed link to the port of Liverpool, linking the city and the rest of the UK to Ireland. This was also important because, as the canal was widened, traffic there was due to quadruple. Construction on the link should be started between Liverpool and Manchester, he suggested, as this was the “most compelling branch of the line”. This held, he claimed, even with the most pessimistic figures predicting its likely economic benefits. “We need a northern super-city”, he said, and the best location for this was between Liverpool and Manchester. Mr Blond, continuing his argument, explained that this would help create a more balanced economy. Adding to this, he pointed out that building the northern part of HS2 or HS3 first made sense because it would be cheapest segment. Describing Dr Clark as “a lone visionary” about the type of cities Britain needed to create in the north, he suggested that this would benefit the south east also, as it would redress overcrowding. Concluding, he said that a new constitutional offer, including devolution within England, was desperately needed, especially if the Conservative Party did not want to create another region, after Scotland, which it was almost completely alienated from. The north of England could decide the next General Election, he concluded. Opening, Dr Clark joked that he was expecting Labour Mayor of Liverpool Joe Anderson to defect to the Conservatives. He described how Liverpool was unique as a city, and had different needs from Britain’s other “great cities”. These needed to be reflected in how these cities were governed, he believed, due to their political, cultural and industrial differences. He noted that the new mayoralty had helped Liverpool secure the International Festival for Business 2014. Dr Clark described the business festival as a tremendous success – one which had put the city on the map as somewhere to do business. Continuing, he said that Mr Anderson was now undertaking the same role as London Mayor Boris Johnson, representing his city democratically and bringing its interests to Westminster. It was important to create new, deeper connections among the northern cities, he said. Concluding, Dr Clark argued that if “the glories of these great cities” could be brought together through better transport infrastructure, then they could be a serious rival to London as a great British hub. Next to speak, Lord Popat suggested that the UK was not good at building transport infrastructure, despite its large economy. HS2 was about capacity and growth, he argued, and that although it would cost £42bn, it was a worthwhile investment. Continuing, he said that the Government had a strong record on delivery, Crossrail for example, but that more could be done. Turning to exports, he said that Britain had a shortfall that effected its financial position, and was borrowing more money as a result. Lord Popat hailed the potential of Britain’s northern cities, indicating that it would be beneficial for HS3 to arrive as soon as possible to help balance the economy and generate more exports. Britain needed a new industrial policy that had infrastructure at its centre, as this was the only way to rebalance the economy, he said. Next to speak, Mr Anderson paid tribute to Dr Clark for delivering Liverpool’s City Deal. Progressive politicians from all the major parties understood that further devolution to major cities was integral, he said. He explained that there would be millions of pounds worth of new business as a result of the International Festival for Business that had taken place that summer. Mr Anderson said that cities were like magnets: they sucked in people and capital from their surroundings. It was therefore important, he believed, that they were all given power in order to avoid an unbalanced economy. Continuing, he said that a strong north was also good for the south, as it was good for Britain plc. Turning to HS2, Mr Anderson said that he went against Labour on the project. He believed that it was good that it was being debated, as it allowed the party to talk about HS3. There was a real need for connectivity, he declared. While there should be a discussion about devolution, it was also incumbent on political parties to help regenerate and grow the UK as a whole to prevent further disconnect between the electorate and Westminster. Mr Anderson said that HS3 was an economic “no brainer” and the expected benefits were obvious to all. He pointed out that so much money would be invested in the project in the area that it would make “absolutely no sense” to not put in the extra 20 miles of track to Crew. Moving on, he described the opportunity to increase capacity for large freight, saying this would benefit Liverpool and the rest of the UK. It was imperative that Liverpool was able to move the amount of freight entering the city, which was set to quadruple. The first questioner commented that the trains used on HS2 and HS3 should not be designed as if they were “planes on a track”. Lord Popat assured him that time would be taken to get the designs of trains correct. Next, the panel was asked what was being done to relieve pressure on roads. In reply, Mr Anderson said that both parties were failing to deliver transport infrastructure plans that were joined-up across both rail and road. Adding to this, Lord Popat said that £136m had been invested in roads, and that more would follow in the years to come. Mr Blond then that every city would want to be connected to the high speed network, so that it was important to redesign the route so that it would be “future proof”. Otherwise, it might not be extendable to Bristol and Liverpool and other cities. Continuing, he argued that it was vital that the right tax incentives were introduced to propel the project forward. Innovative thinking could help dramatically slash the cost of this infrastructure, he claimed. A Cheshire East Councillor then asked whether construction on the new project should start at Crewe, rather than elsewhere. She argued that this would help speed the process up. In reply, Mr Blond said that he was “route agnostic”, and what he really wanted was a commitment to the project. 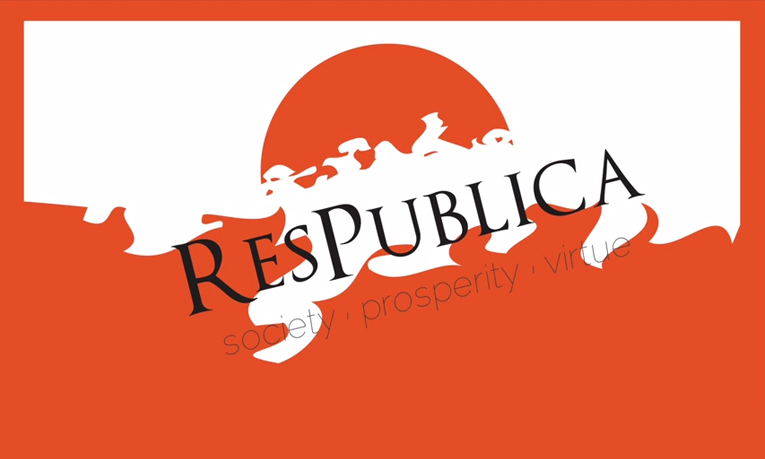 He announced that ResPublica was going to work with both Labour and Conservative MPs and ministers to generate support for the project, suggesting that this was an opportunity to win political support in the north. Responding to a question on how Liverpool could help retain its ambitious young people, Mr Anderson suggested that controlling its own business rates would be start. He also called on the city to be able to run its own employment programmes, as those in the city knew where the greatest growth was occurring. This model was common across the world and the UK should follow, he argued. Closing the session, Mr Blond said that ResPublica had produced a comprehensive report on devolution, which could help create self-sustaining cities and prosperity. Arguing that more autonomous cities were more prosperous, he called for direct elections in new authorities so that mayors could stand or fall by their promises. Adding to this, Mr Anderson said that he sympathised with calls for further devolution, as it improved accountability. He argued that there needed to be fully professional regional government structures, as it made no sense for part-time councillors to be in control of billions of pounds of public spending. Next: NEWS RELEASE: Liverpool HS2 case “being heard in the right places,” say campaigners.